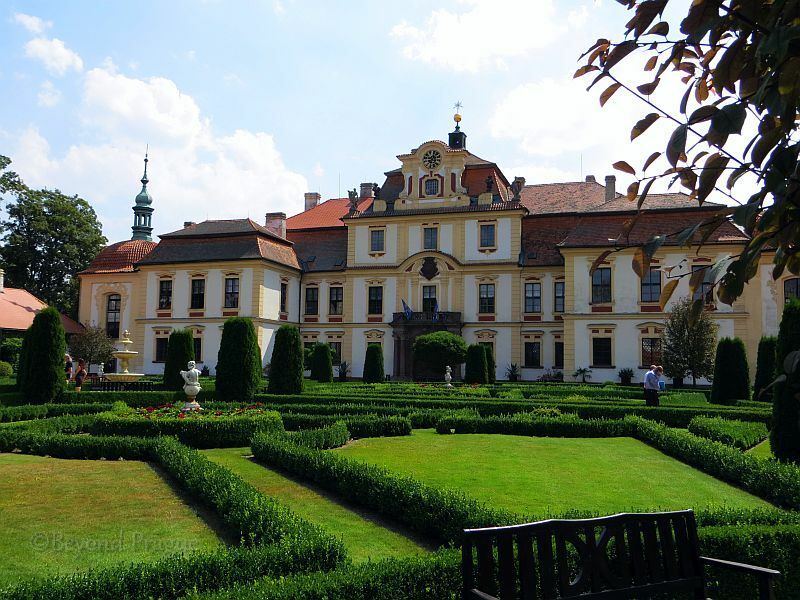 Located near the small city of Benešov, about an hour south of Prague, Jemniště chateau dates to the 1720s. It’s current configuration is the result of a complete reconstruction following a fire in 1754. The current English style garden which surrounds the chateau was remodelled from its previous French style in the late 1700s and early 1800s. Jemniště stands apart from the majority of Czech chateaus and castles in that it is not only open for the public to visit, but also in private ownership. The aspect of private ownership gives the chateau a distinctly different atmosphere and flavour that many of its state owned counterparts lack. Many state owned chateaus show greater or lesser degrees of deterioration on their facades in the process of waiting for their allocation of state funds for the required upkeep. By contrast, there is very little in the way of faded paint or flaking plaster in evidence on the facade of Jemniště. Inside the chateau are nine rooms to tour, a relatively small number compared to many other chateau tours. This makes for not only a more leisurely paced tour that’s easier to remember, but also one that feels a bit more personalised. A view of the chateau from the front. The Šternberk (also seen spelled, Sternberg) family, who first took possession of Jemniště in 1868, are one of the oldest Czech noble families still extant and trace their beginnings to the very early twelfth century. Initially purchased by Count Zdeněk Šternberk, the chateau was inherited by his second son, Phillip, in 1900. Under Phillip’s ownership the chateau underwent a number of repairs and changes allowing it to be used as his primary place of residence. Upon Phillip’s death in 1924, the chateau was divided between his daughters, Maria and Theresa. Theresa and her husband held ownership of Jemniště until 1943, when it was forcibly taken from them. After Czechoslovakia was liberated, moves were made to return the chateau to its rightful owners. However, with the Communist coup of 1948, the chateau came under state control. In 1995, Jemniště was finally returned to the family. Today, Jiří Sternberg and his family use a wing of the chateau as their home. A view of the gardens surrounding the chateau. Covering an area of 13 hectares, the chateau’s English style park and gardens is an idylic place to relax before or after a tour of the interiors. A wide variety of plants and trees can be seen here, including some quite rare imported varieties. Additionally, the chateau gardens feature three fish ponds and spacious enclosures holding goats, llamas, small kangaroos and albino peacocks. 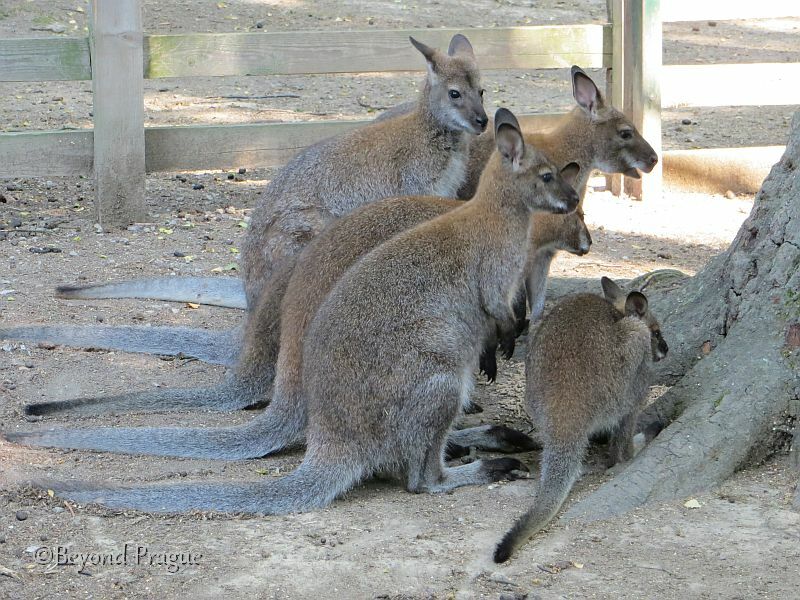 The small kangaroos which live in the chateau park. Jemniště chateau is open for visiting year round, though visits between November and April are by prior arrangement only. The chateau has a spacious restaurant and well stocked gift shop on the premises. Additionally, Jemniště also makes three rooms available for accomodation. As with many chateaus in the country, it is possible to arrange Jemniště as a wedding location. 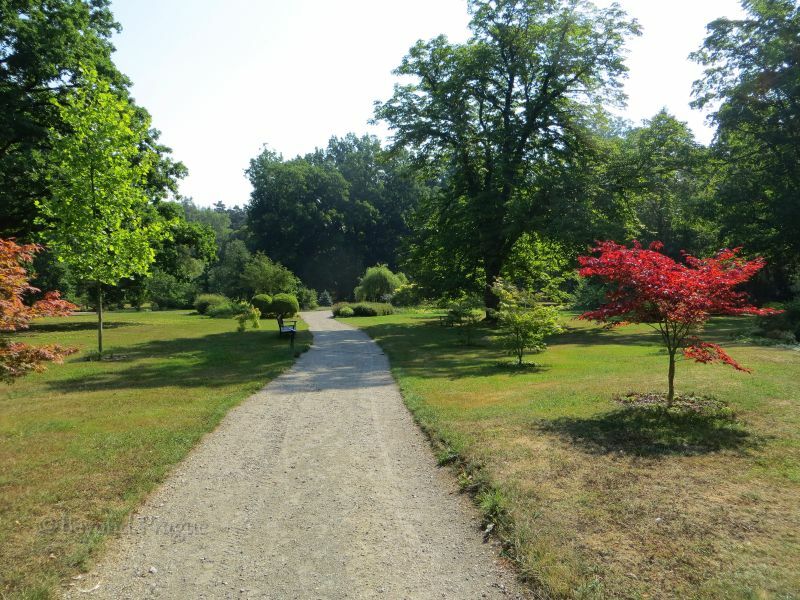 Parking for cars and tour buses is available in front of the chateau and a stop for the regional public transport system is located within short walking distance of the chateau.